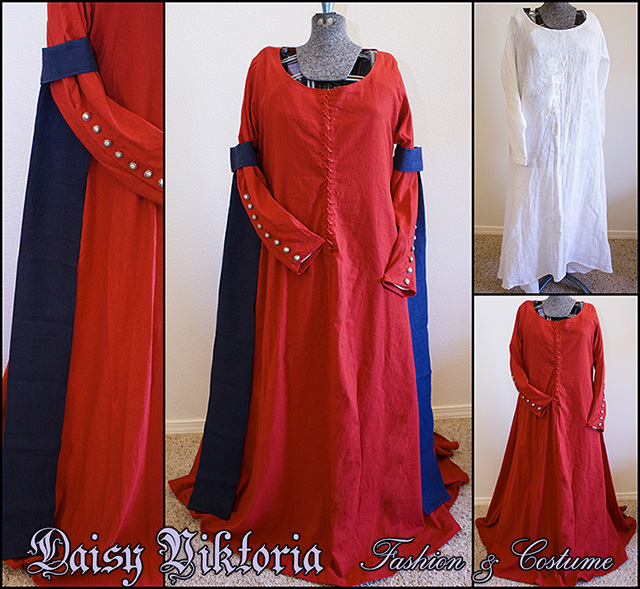 This 15th century kirtle was made for a client. The gown is made of linen and laces in the front. The tippets are separate and help to achieve multiple looks and purposes.